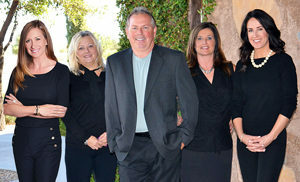 The selling season is heating up at Encanterra® and now is the time to connect with the on-site experts at Shea Preferred Realty Group. When it comes time to list your home, there are many agents to choose from; some might even discount their fees. At Shea Preferred Realty Group, we sell homes faster, and we net our sellers more money than any other agent, delivering record sales prices for Encanterra®. Of the 8 homes sold in the community during the month of May, Shea Preferred represented 67% of the buyers and sellers, which saved our sellers thousands of dollars in listing fees. 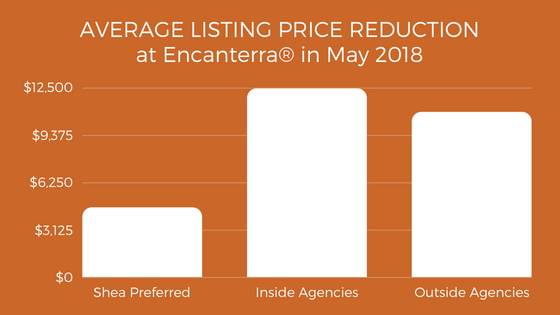 Our team’s average price reduction on listings sold in May was only $4,600, while other inside agencies had an average price reduction of $12,450. Your home is one of your biggest assets— don’t let any agent negotiate away your equity. Stop by our on-site office, located in the model gallery, to learn about our winning strategy.